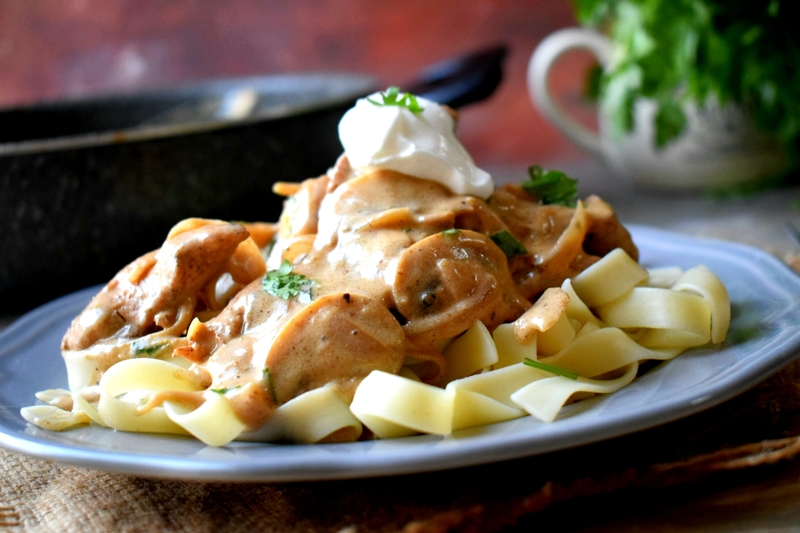 Stroganoff is a Russian dish which is rich and flavorful with minimal ingredients. 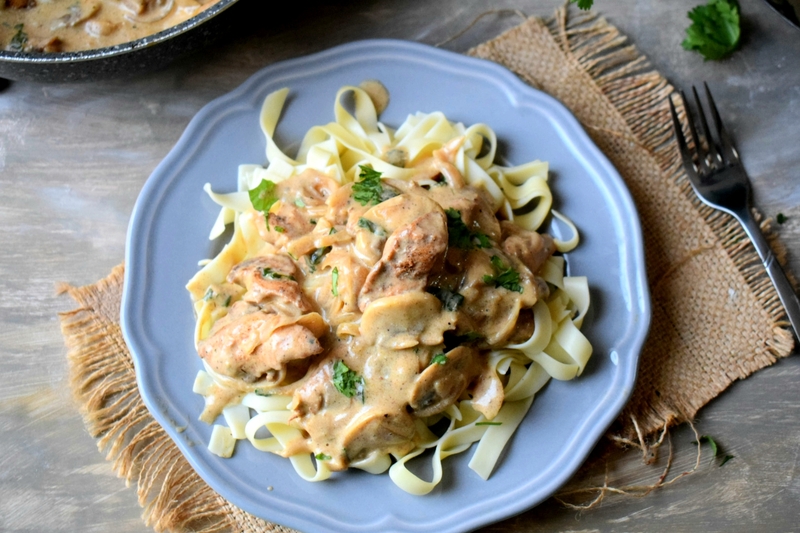 The golden seared succulent chicken is smothered in a delicious sour cream mushroom sauce which is incredibly good! 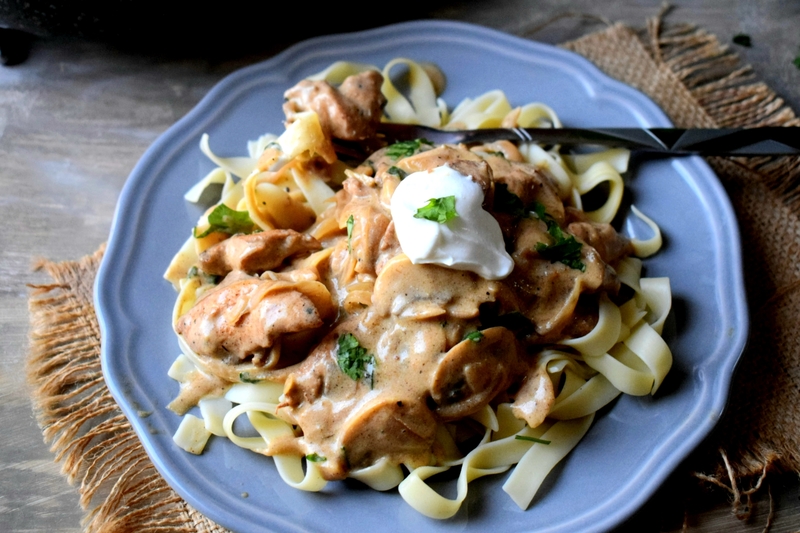 It’s richness and tanginess is coming from the addition of sour cream which is a core ingredient in this recipe. 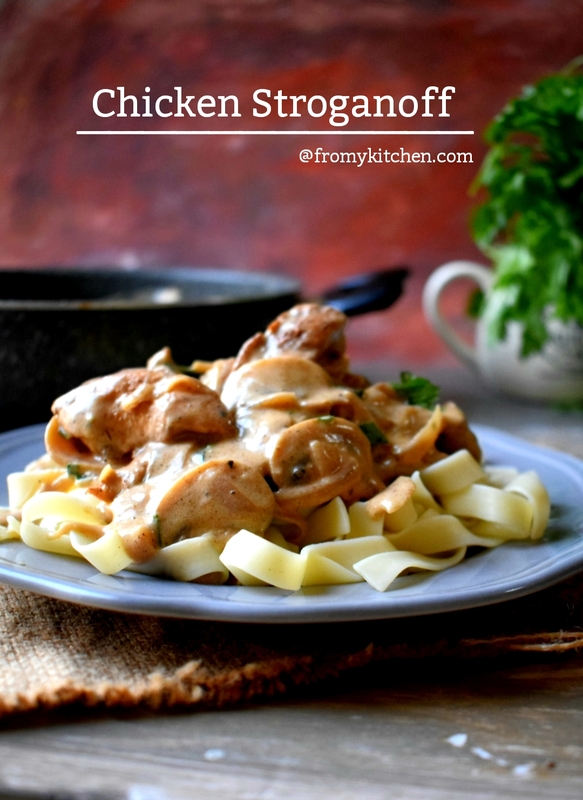 This is mostly paired with noodles or pasta or even plain steamed rice! If you can’t find sour cream squeeze some lemon juice in the fresh cream mix well and use it. Don’t skip sour cream! 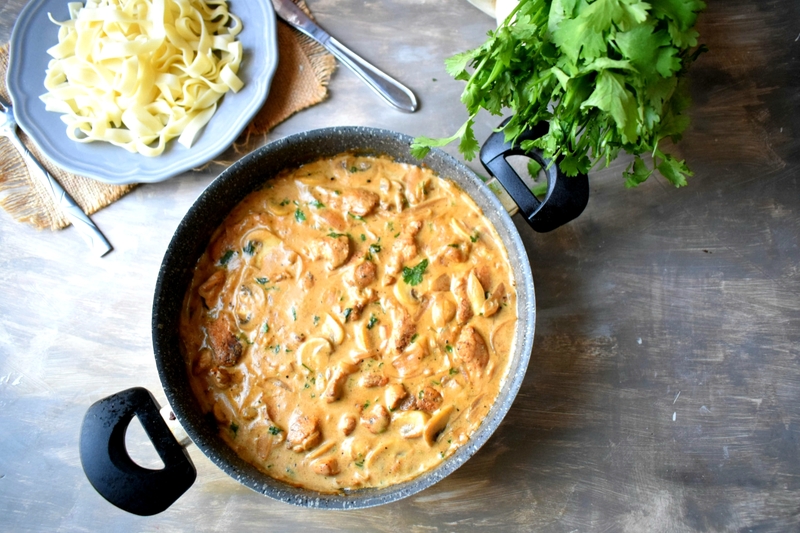 This is so simple to prepare and a must try if you love such creamy dishes! I’m sure whatever it is if we served with noodles or pasta kids will indulge! We just loved it! 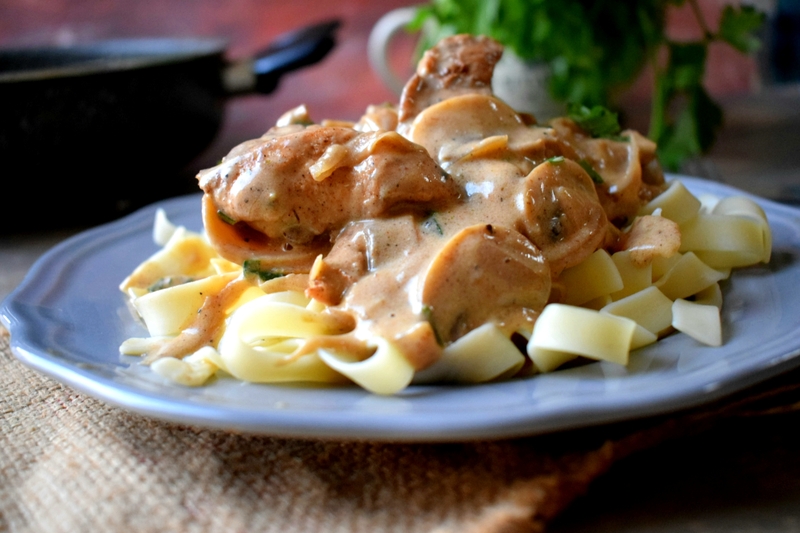 Stroganoff is mostly made with beef steaks and also use wine in them. But here I adjust it like how we want and so happy with the result. 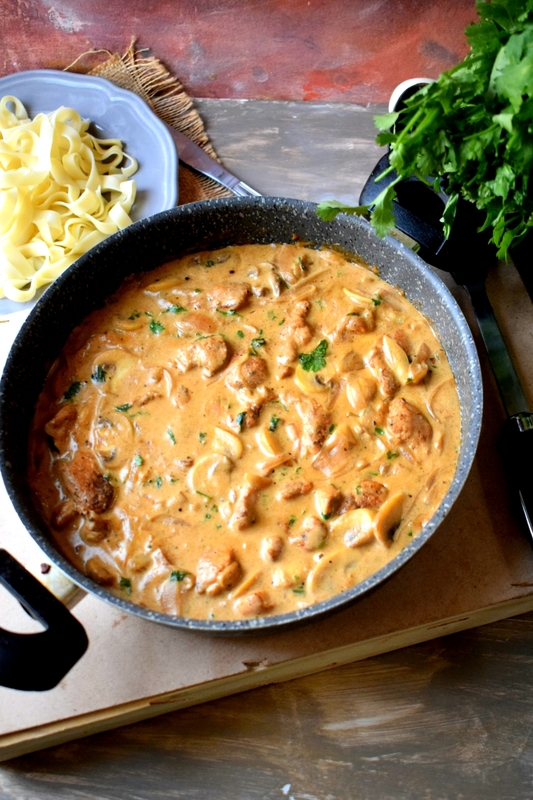 If you love that sour, creamy texture then this is for you!! Marinate chicken with salt, pepper, and paprika. Then in the same pan add butter and when its melted add sliced onion and chopped garlic cook it until soft. Add mushroom salt and pepper cook it. When it’s almost done add the all purpose flour mix and cook it. Then add vinegar and chicken stock. Stir continuously. It starts to thicken up. Add the chicken and cover and cook it until its fully done. Then add the sour cream and parsley. Simmer it for few more seconds and switch off the flame. Don’t boil it for long after adding the cream. 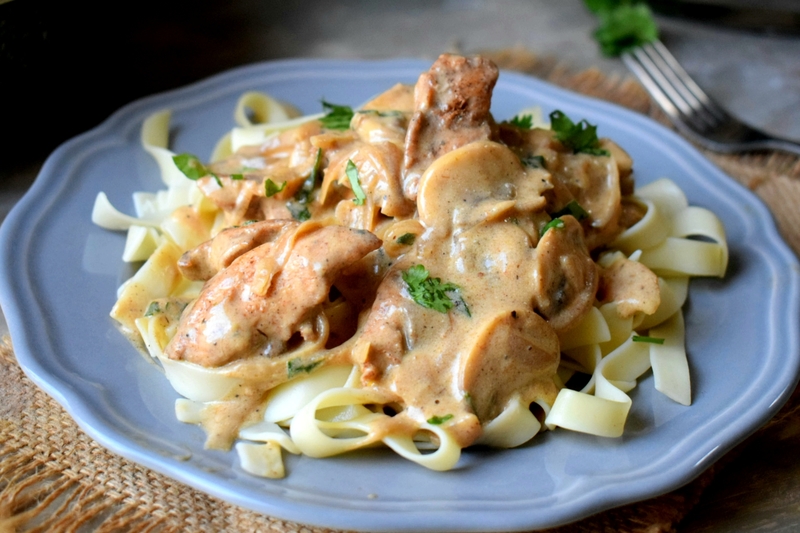 Pair it with egg noodles or pasta and indulge in!